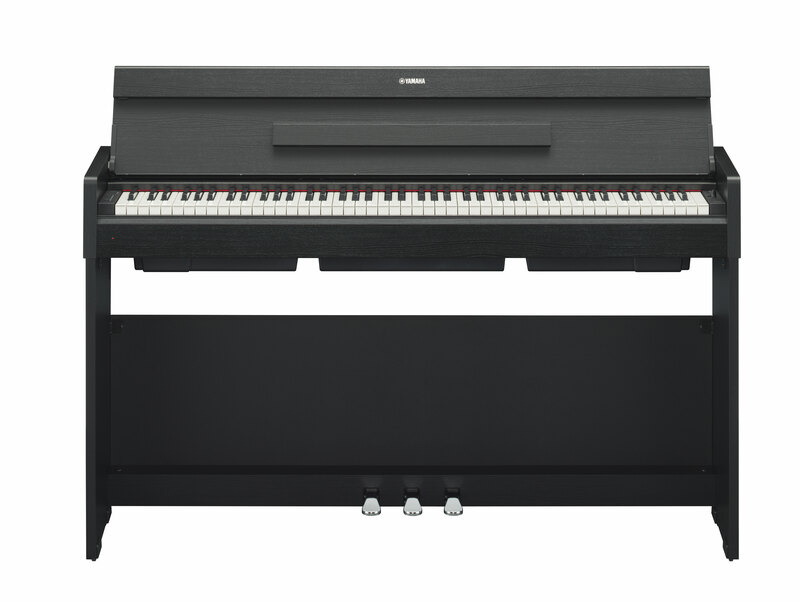 The Arius range of pianos from Yamaha encompasses models designed for the beginner and more advanced pianists looking for a sophisticated addition to their home. With a choice of slim, stylish cabinets, they easily blend into any room while offering the perfect introduction to piano playing. With fully weighted piano keyboards and a rich, sonorous sound, Arius instruments feature the sound of acclaimed Yamaha concert grand pianos, alongside numerous other instrument sounds offering a world of creative opportunity. These sounds can be combined to create rich mixtures whilst Yamaha’s Duo mode splits the keyboard into two middle Cs: ideal for duets and teaching situations. Arius instruments are all able to connect to a computer, and even have a range of free apps for iOS devices which give effortless control over the numerous intuitive features available in these pianos.